Yay! We've reached 300 Choicest VGM tracks! ChooOooOOOICE! Anyway, it just happens to be another Transport Tycoon Deluxe track called "Stroll On" and it's quite easy to imagine yourself strolling along to this cruisey tune. Also, as an aside, somehow Facebook started showing me ads for strollers after compiling this video - weird huh (BIG BROTHER IS WATCHING YOU)? 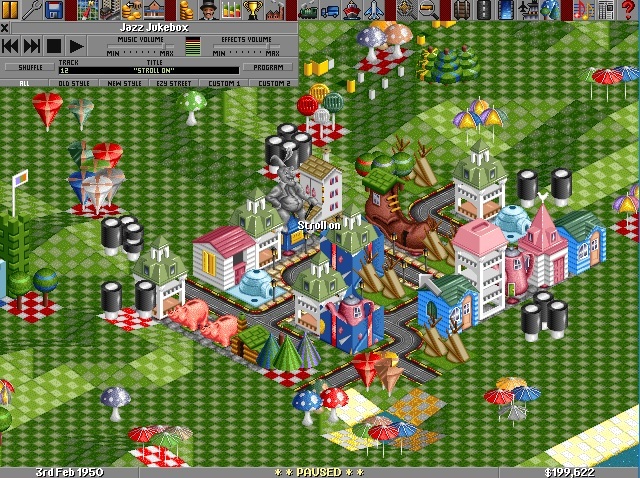 "Toyland is the least liked climate of OpenTTD due to its bright and jarring colours, as well as its overall cheesyness and cliches."